The Cannes jury is a secret club, its members tucked away from the public eye and subject to intense speculation about their opinions of the films they have to judge - and of each other. There were rumors that 2004 jury head Quentin Tarantino and juror Tilda Swinton butted heads, and their selection of Michael Moore’s anti-Bush doc "Farenheit 9/11" as Palme d’Or was widely trashed. According to whisperings in 2009, French actress Isabelle Huppert was a tyrannical jury president, and her jury’s decision to give Michael Haneke the top prize for “The White Ribbon” was a case of playing favorites (Haneke directed Huppert in “The Piano Teacher”, for which she won Best Actress at Cannes in 2001). And last year, it was murmured that Robert De Niro’s jury wanted to give Lars Von Trier’s “Melancholia” a top prize, but felt it couldn’t because of the director’s off-color remarks about Jews and Nazis at his press conference (so they named Kristen Dunst Best Actress as compensation). 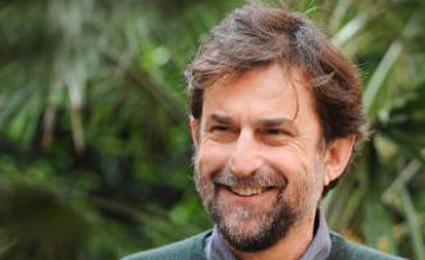 Nanni Moretti, jury president: This Italian filmmaker and actor (above) is beloved in his native Italy and on the Croisette; his family drama “The Son’s Room” took home the Palme in 2001, and his rather disappointing “We Have a Pope (Habemus Papam)” was in competition last year. Known for political satire and neurotic, Woody Allen-esque humor, Moretti will likely be evaluating a mostly downbeat slate of films (Cannes is generally short on comedies). Some jury heads go for movies that reflect in some way their own artistic sensibility (think Tim Burton and Apichatpong Weerasethakul’s offbeat, supernaturally charged “Uncle Boonmee”); others are drawn to their opposite (Wong Kar-Wai, maker of poetic romances, awarded Ken Loach’s dry “The Wind That Shakes the Barley”). Which way will Moretti lean? Hiam Abbass: The most visible and international of Palestinian actresses, the regal-looking, middle-aged Abbass is known for her roles in “The Syrian Bride”, “Lemon Tree”, and American indie “The Visitor”. She also appeared in Amos Gitai’s “Free Zone”, Jim Jarmusch’s “The Limits of Control”, Steven Spielberg’s “Munich”, and Julian Schnabel’s “Miral”. Abbass has both Israeli and French passports. Andrea Arnold: The British filmmaker was last at Cannes with her terrific “Fish Tank” (2009), a coming-of-age story about a surly English teen and her mother’s seductive new boyfriend. The film won the third-place Jury Prize. Her adaptation of Emily Brontë’s “Wuthering Heights” premiered at the Venice Film Festival last fall, and was noted for the same blend of realism and lyricism that infused “Fish Tank”. Emmanuelle Devos: With her big mouth, bigger eyes, and anxious, high-pitched voice, Devos is one of France’s most fascinating leading ladies. She’s given powerful performances in Arnaud Desplechin’s “Kings and Queen” and “A Christmas Tale” and was by far the best thing about Anne Fontanie’s dull biopic “Coco Before Chanel”. Will Devos be partial to other French actresses in competition (Marion Cotillard, Isabelle Huppert, Sabine Azéma, Anne Consigny) or directors like Jacques Audiard and Alain Resnais, with whom she has worked? Jean-Paul Gaultier: This world-famous fashion designer has designed high-concept costumes for French directors Jean-Pierre Jeunet and Luc Besson, as well as for Pedro Almodovar. Still, as the one jury member whose primary field of work is not cinema, Gaultier is this year’s jury outsider. Diane Kruger: This German actress and former model has given vivid turns in her native tongue (as a feisty spy in Tarantino’s “Inglourious Basterds”) and in French (as an imperious Marie-Antoinette in Benoit Jacquot’s “Farewell, My Queen”). Her work in English, however, has been unremarkable (as in the “National Treasure” films with Nicolas Cage). In a jury populated by edgier or more seasoned film talent, Kruger fills the yearly “glamorous beauty” slot occupied by Uma Thurman in 2011. Ewan McGregor: More than a scruffy heartthrob, McGregor is a versatile, reliably convincing actor who has worked with a slew of prestigious directors (Woody Allen, Roman Polanski, Steven Soderbergh, Tim Burton, Danny Boyle, Baz Luhrman, Todd Haynes). McGregor gave one of his most affecting performances in Mike Mills’ “Beginners” last year, playing a man juggling a new girlfriend and a dying father who is also just out of the closet. Alexander Payne: This year's lone US ambassador has earned a reputation as one of the industry’s best writer-directors with a handful of melancholic, tonally ambitious comedies. From high-school satire “Election” to his trilogy about masculine angst (“About Schmidt”, “Sideways”, “The Descendants”), Payne’s trademarks are prickly characters and dialogue that balances biting wit with deep feeling. Raoul Peck: This Haitian-born director has an international background that embodies the spirit of diversity Cannes aspires to; he grew up in Congo, France, Germany, and the US. His film “The Man by the Shore” was in competition at the festival in 1993, while “Lumumba” was screened in the Director’s Fortnight section in 2000. Peck used to be Haiti’s culture minister, and has served as chairman of the board of top Parisian film school La Fémis since 2010. Below, listen to me and fellow film critic Lisa Nesselson (France 24, Screen International) talk about what to expect and what to look forward to at this year's festival. 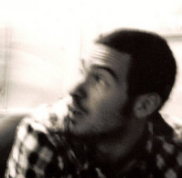 FRANCE 24 film critic Jon Frosch left New York in 2002 for Paris, the best movie-going city in the world. His work has appeared in The New York Times, the International Herald Tribune, the Boston Globe, The Atlantic, The Village Voice, LA Weekly, The Hollywood Reporter, Variety, and other publications, and he has served on critics’ juries at the Venice Film Festival and Montreal Film Festival. In this Cannes blog, Jon brings you the latest on the movies, people, controversies, and gossip at the year's biggest international cinema event. You can contact Jon directly via email: jfrosch@france24.com. Follow Jon on Twitter .